Shares of auto and auto-related companies continued to remain in top gear for the 10th consecutive day, with both S&P BSE Auto and Nifty Auto indices hitting their respective record highs on Monday. In the past 10 trading sessions, the S&P BSE Auto and Nifty Auto indices have rallied 6% as against 2% rise in the benchmark indices, the S&P BSE Sensex and Nifty50. Among individual stocks, Maruti Suzuki India, Mahindra & Mahindra (M&M), Hero MotoCorp, Tata Motors, Eicher Motors, Ashok Leyland and Bharat Forge from the auto index, have gained more than 6% during the period. While Hero MotoCorp, Apollo Tyres and Motherson Sumi Systems hit new highs during intra-day trade on Monday, Maruti Suzuki India, TVS Motor Company and Eicher Motors, too, are close to their all-time high levels. 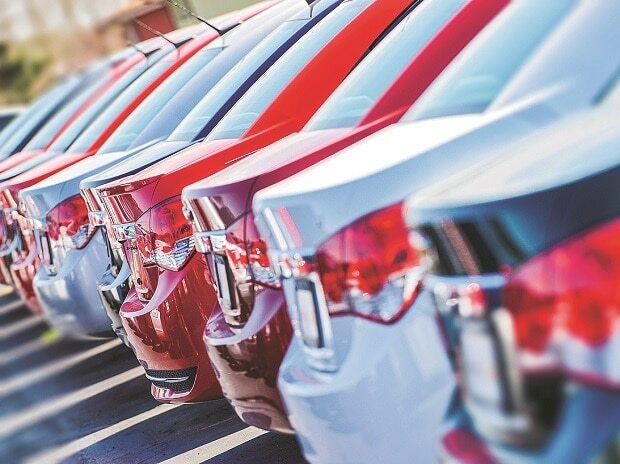 The rally in automobile stocks, analysts say, comes on the back of expectations of a good monsoon, higher rural incomes and, a government thrust in agricultural and rural sectors that is likely to push up demand in forthcoming quarters. This is despite a mixed trend in sales in May 2017 that saw Maruti, Hero MotoCorp and Escorts register 15.5%, 8.7% and 29% growth in sales; while Ashok Leyland, M&M (medium and heavy commercial vehicle segment) witnessed a fall of 8% and 13%, respectively. “The rural sector has been under distress till now. With the government’s focus on agriculture, this is likely to change going ahead. That apart, if the monsoon is good this year, it will act as a catalyst and help in shoring up demand for tractors and other farm equipment. This will benefit layers like M&M, Escorts; and Hero MotoCorp and Maruti Suzuki to some extent. I don’t think there is much scope for correction for auto stocks from here on,” says A K Prabhakar, head of research at IDBI Capital. Going ahead, rating agency, ICRA, expects domestic two-wheeler volumes to grow by 8-10% during FY18 as the demonetisation impact wanes off and demand recovers from both rural and urban households. “The expectation of improved farm sentiments follows two seasons of good crop, forecasts of normal south west monsoons, benefits from rural employment guarantee schemes trickle in, besides pent up demand consequent to the deferment of purchases during Q3 and Q4 FY2017 augur well for demand revival on the rural front,” ICRA said in recent report. But there are some concerns as well. With the government set to introduce the goods and services tax (GST) bill from July 1, 2017, reports suggest most vehicles will fall under the highest tax bracket of 28%, with an additional cess ranging from 1-15% based on the segment the vehicle falls under, its engine size and type (petrol or diesel) and also size of vehicle. Though analysts remain cautious regarding the implications, they say the companies can pass on any increase in tax to the consumers. “Companies need to evaluate their strategies carefully once the GST is implemented. Even if they pass on the increased tax burden to the consumers, they can adjust the prices so that the total impact / burden is minimised. But even if the consumers were to bear the increased tax, I don’t think the volumes will suffer much over the longer period,” says Shrikant Akolkar, an analyst tracking the sector with Angel Broking. Among the lot, Prabhakar is IDBI Capital is bullish on M&M, Hero MotoCorp; and Bosch in the auto-ancillary space. Akolkar prefers Maruti and sees more upside for the stock over the next few months.